The Chinese metal mine enterprises in recent years has kept trying to saving energy consumption and improving the economic benefits. Compared with the international metallurgy preparing technology, the domestic companies are still weak for the lagging technology and products. In order to solve the current problems, our company’s experts have thought of many effective measures we can take as follows. 1. When we promote the high quality iron ore concentration preparing technique, we should also make the whole preparing process high efficient and simple. 2. More attention should be paid to the research on the reducing technology of the detrimental impurity. 3. Try to increase the usage of the domestic hematite by focusing on the preparing technique of the compound multi-metal resources. 4. 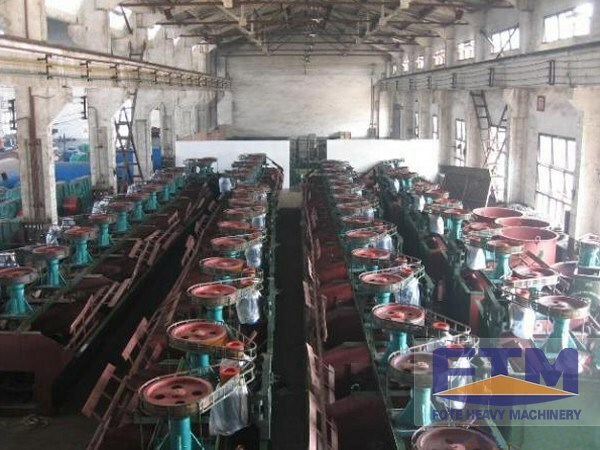 As for the grinding and beneficiation processes of the metal ores, we should grasp opportunities to introduce and develop the energy saving fine grinding equipment by combining the foreign advanced technology, thus realizing the improvement of the Chinese iron ore processing equipment. 5. Speaking of the beneficiation reagents, the machinery enterprises need to stress the importance of the development of the high quality reagent with strong adaptability, high efficiency, low temperature resistance and no toxicity. 6. The modern flotation equipment is developing towards the upsizing and energy conservation performances. We not only introduce the recombination force field to the flotation machine, but also focus on the research on its self-control feature. Briefly speaking, the preparing or beneficiation process is like washing rice. Because of the complexity of the minerals, the ore beneficiation process is not so easy to complete. We hope the above tips will help users realize the perfect effect they want.